Maybe does not mean yes! Join The Healthy Living Program & It's On Us to get a better understanding of what consent is and its importance. We'll also be discussing the differences between healthy and unhealthy relationships. 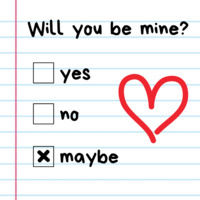 Pass by and pick up our "Will You Be Mine?" tank tops, custom love potion blend, and flowers!